From slush, to snow and even on dry winter roads, the Discoverer True North is designed to grip the road. 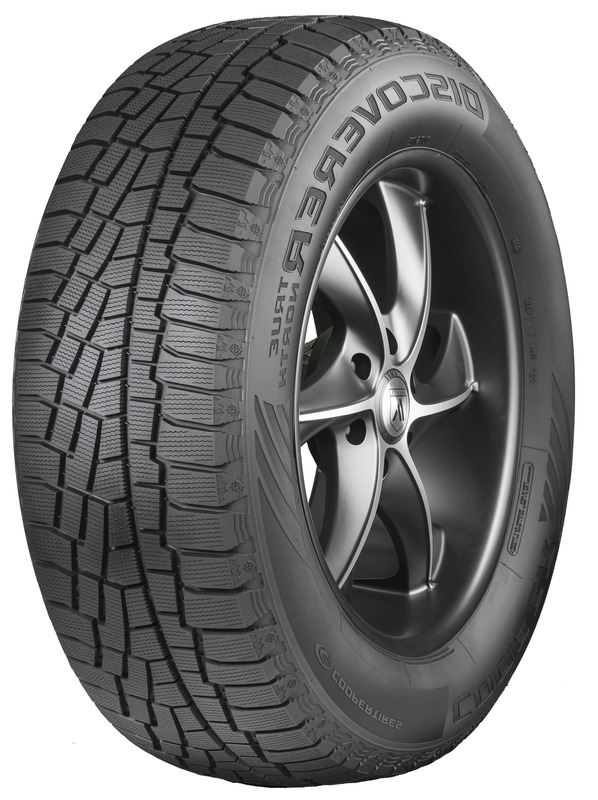 The Discoverer True North features a tread compound that stays pliable when the temperature drops, the most sipes Cooper offers in a winter tire. These biting edges grip the road to maintain traction in harsh conditions. In addition, Snow-Groove technology helps to trap snow in the tread, enhancing grip through snow-on-snow traction. EXCELLENT STOPPING DISTANCE ON SNOW-COVERED ROADSThanks to an aggressive tread pattern that bites into snow, when the snow piles up, you can have the confidence in the stopping distance of the Discoverer True North. The Discoverer True North is remarkably quiet on the road, thanks to a tread pattern designed to reduce noise from your tires. Joining the highly respected Cooper® family of winter tires, the Discoverer True North delivers confidence in the cold, earning our Weather-Master label for its tested and trusted performance in harsh winter weather. The Discoverer True North can be rotated to any position on your car, thanks to its cross-rotational design. Combined with engineering enhancements for balanced tread wear, helping to prolong tread life, these tires are ready to go the distance.